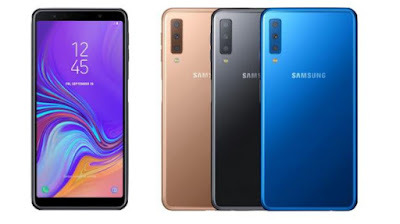 Samsung today introduced Samsung Galaxy A7 (SM-A750F) Smartphone which is Samsung's First smartphone to come with triple rear cameras. 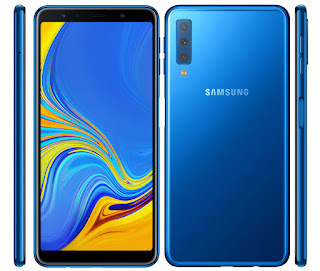 Samsung Galaxy A7 (2018) has a 6-inch Full HD+ Super AMOLED screen powered by a 2.2GHz Octa-Core processor with up to 6GB RAM and 128GB of internal Storage. The main Camera is a 24-megapixel sensor with f/1.7 aperture, secondary 8-megapixel 120° Ultra Wide Lens for wide-angle photos and the third 5-megapixel camera to capture depth information for portrait shots. It also has a 24-megapixel front camera with that automatically lets more light in by combining four pixels into one pixel in low light conditions. It also has an adjustable LED flash, Selfie Focus, Pro Lighting Mode and AR emoji. It has a metal frame and a glass back. Galaxy A7 has a side-mounted fingerprint scanner, supports Dolby Atmos Packed with a 3300mAh battery. 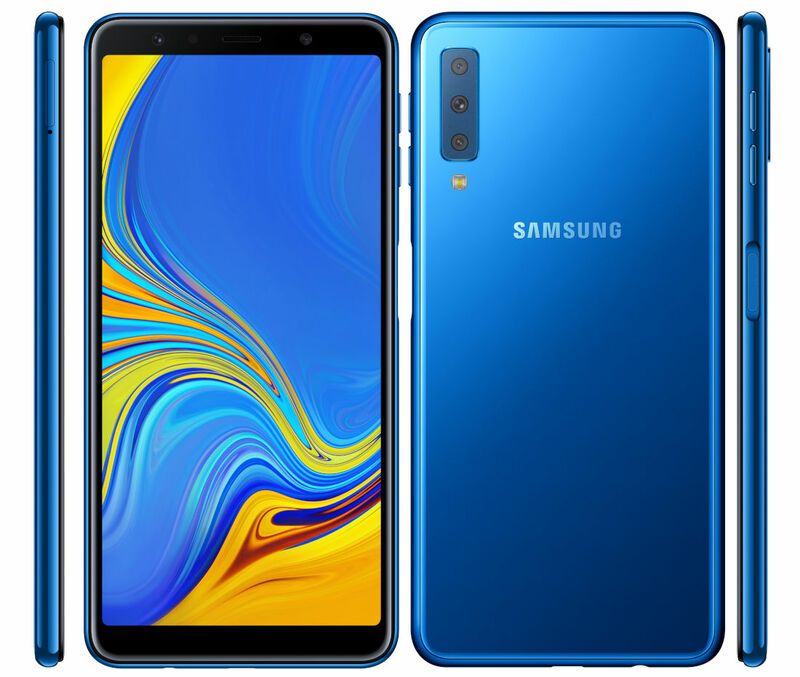 Samsung Galaxy A7 (2018) comes in Blue, Black, Gold and Pink colors price starts at €349 and will roll out in select European and Asian markets starting from October. Samsung is all set to launch a New smartphone with four rear cameras on October 11.